This year was our 22nd year conducting the Brand Keys Sports Loyalty Index measuring all the teams for Major League Baseball, the National Basketball Association, the National Football League, and the National Hockey League. The Index rankings correlate very highly with viewership, purchase of licensed merchandise, and fan attendance. But we haven’t measured Major League Soccer. Ever. Don't get us wrong. We recognize that soccer is the most popular sport in the world. But in the United States, Major League Soccer has been a kind of UFO of Major League Sports; out there someplace, but not actually touching down in your back yard! And even if you’re a soccer fan, you have to admit that the 32 teams of the 2014 FIFA World Cup are something different than, say, your kid’s local soccer team or even the LA Galaxy or the Colorado Rapids or the Philadelphia Union. And if those names aren’t familiar to you, you’re not alone. Professional soccer is a niche sport, the number of TV viewers for NFL games is 100 times more than any professional soccer match – even the D.C. United, ranked #1 in Major League Soccer’s Eastern Conference, which you likely didn’t know and, even more likely, don’t care that you didn’t know. What we know is that the world watches the World Cup. Brazil – this year’s World Cup host – had 80% of their population watch at least 20 consecutive minutes of the 2010 World Cup, with that viewership trend showing up virtually everywhere else in the world other than the U.S. that is, where about 95 million people – a third of our population – watched at least 20 consecutive minutes of the last World Cup. And while it shouldn’t come as a surprise, it’s expected when the numbers come in, this year’s World Cup will end up the most-watched soccer match ever, which is a pretty good doorway for brand engagement, whether it turns out you are an “official” FIFA sponsor or not. Interestingly, since engagement isn’t dependent on sponsorship status, not all the brands that made the list are actually “official” FIFA World Cup sponsors. Ranked #1, Gatorade is an official sponsor of soccer – U.S. Soccer, the governing body of soccer in the United States, but not a FIFA sponsor. Number 3, Nike, who does sponsor teams, isn’t an official FIFA sponsor either – maybe just another good example of effective ambush marketing Nike has used in the past. Beats by Dre, #8, isn’t an official sponsor of World Cup Soccer, in fact so much not a sponsor that FIFA banned players from wearing their headphones in any stadia. 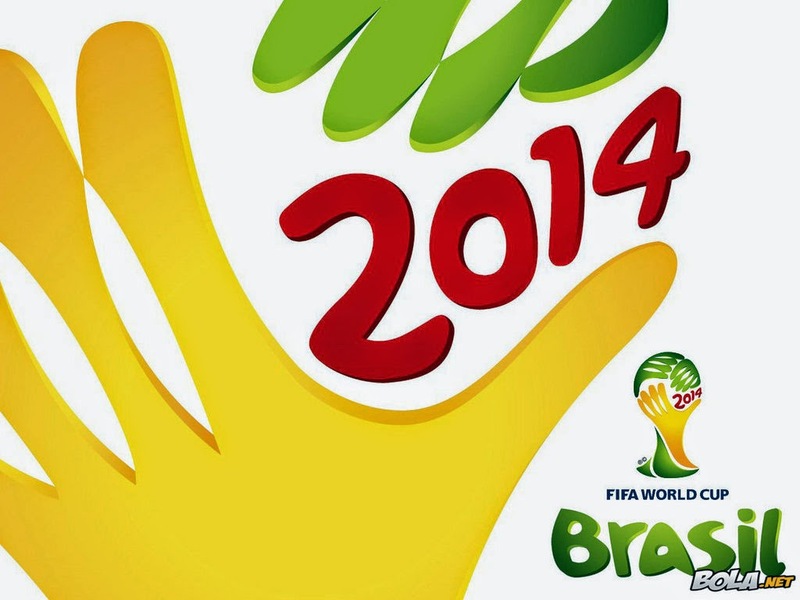 The “official” FIFA World Cup sponsor is SONY, which didn’t make the top-10 list. Which is too bad because official sponsors pay a lot for their sponsorships, and they’re all looking for some sort of ROI beyond good seats at the matches: exposure, increased consumer awareness, engagement, and, ultimately increased sales. FIFA vowed to crack down on “ambush marketing” this year to protect sponsors – and their own self-interests, too. Marketing rights sales for this year's World Cup are their second largest source of income – just after broadcast rights. So in a move similar to the London Olympics’ “Brand Police,” World Cup non-sponsors are having their names taped over in Brazil stadia. Barney Ronay, sports writer at The Guardian, tweeted the following: “The brand name of the hand dryer in the Arena Sao Paulo toilets is taped over in case you see it and decide to buy one instead of a Coke.” Does that seem to you like an overreaction? Well, probably not from a FIFA or sponsor brand POV. Brands invest a lot time, effort, and a lot of money in a World Cup sponsorship. Sometimes you can divine an answer by the way brands “vote” with their budgets – like counting the number of sponsorship renewals already signed: Adidas (#4 on our list) will be a sponsor until 2030, at the next four World Cups. Coke (#7), Hyundai-Kia (#s 2 & 5, respectively), and VISA (#6), have all signed up till 2022. But with all the coverage and celebrating, the real question is will this be the year soccer goes mainstream in the United States? World Cup fever seems to be everywhere you look, but some sports and sponsorship pundits suggest that when World Cup is over, soccer will just fade away again in the U.S. Highly engaged brands, on the other hand, are a different story. They’ll be as bright as ever. Amazon unveiled its first, very-own-branded smartphone today, the Fire Phone, and, beyond telephony, it will help create a consumer and technological connection moving beyond tablets with a direct line to Amazon’s commerce platform. It’s a tech introduction that should help Amazon close any remaining gaps between consumers seeing products and buying products, and will provide a real advantage over other retail competitors and based on a first-viewing, smartphone competitors too. You have to have been totally disconnected from the mobile and retail worlds to have missed the fact that the lines between retailer and technology have blurred over the past couple of years, a consumer trend that an Amazon phone can take more advantage of, perhaps even a little bit better than others who have tried in the past. The Nexus One, turned out to be a phone that could only be purchased directly from the Google online store and was then connected to the weakest of the U.S. mobile carriers, T-Mobile. And certainly better than Facebook’s 2013 phone introduction, where Facebook Home dominated the user experience, a smartphone paradigm variation that consumers apparently weren't calling for. Sure, consumers are emotionally engaged with brands like Apple and Samsung, but they’re also emotionally engaged with the Amazon brand. Apple and Samsung have jockeyed for the #1 smartphone spot in our Customer Loyalty Engagement Index for years. But Amazon has been #1 in the Online Retail category for the past 18 years, since we added the then-nascent category to the Index. OK, not apples-to-Apple’s we’ll admit, but it's worth keeping in mind that Online Retail has many technological aspects to it and, you know what they say? “No risk, no mind-bogglingly enormous reward,” and Jeff Bezos seems to have done it. A 4G LTE Fire Phone. 4.7-inch HD display, optimized for one-handed use. Rubberized frame, Gorilla Glass on both sides, CNC aluminum buttons, polished button chamfers, injection-molded steel connectors for a tight and precise fit. 590 nits brightness, dynamic image contrast and circular polarizer. Comes with a quad-core 2.2GHz processor, Adreno 330 GPU and 2GB RAM. As phones are also our primary cameras (they noted) a 13MP rear-facing with f/2.0 lens and OIS. Sound is important so Dual stereo speakers with Dolby Digital Plus surround sound. No tangled headphones: Flat cables with magnetic earbuds that clasp together. People use phones more and more to watch video, so they “made video awesome on this phone with more than 200,000 videos, including exclusives all accessible through Instant Video. Amazon is bringing second screen and X-Ray to the Fire Phone so you can fling your video to any Miracast device (such as the Fire TV). They’re bringing over features from Fire TV, like ASAP, so they can predict what you're going to want to stream, and they pre-buffer it so the streaming starts right away. Prime Music, which launched last week, includes a million songs right now and in case a million isn't enough, there are other apps you can get, like Pandora, and Spotify. Also, Audible, Kindle Newsstand, and Comixology with immersion Reading and Whispersync for Voice featured. Customer Service? Mayday Options: it's 24/7, and takes 15 seconds or less. Free. Firefly: uses the camera to recognize books, DVDs, phone numbers, QR codes, CDs, URLs, games, bar codes, etc. It recognizes them and finds them in its database. Firefly can not only see, but listen, so just like you can do on Shazam and related services, the phone can listen to music, and pull it up on services like iHeartRadio and Amazon Music. It can recognize TV shows and once it does you can view details, purchase it and so on. Oh, Firefly can also recognize art too. It recognizes over a hundred million items. Recognizing phone numbers aren't a problem, even if it's on a street sign. Email addresses too even if there are complications like glare, wrinkles and curves. Semantic boosting helps improve the probability that the character recognition gets the phone number right. They did a test to show how a number 708, which features glare made it look like a 703. But since the computer can recognize that "703" isn't a valid exchange for that area code (206), it knew that it had to be 708. There's a dedicated Firefly button, that lets you access this service anytime in 1 second. There's also an SDK, so 3rd-party developers can use the same text, audio and image recognizers, as well as the content databases, and just add a custom action like iHeartRadio and Myfitnesspal. There’s 3D. The Fire Phone with Dynamic Perspective changes the view of a picture as you move the phone around. You can do this for maps as well. At the introduction, Jeff Bezos showed a 3D image of the empire state building from an aerial view that made it look like the building was sticking out of the phone. The web browser also uses dynamic perspective. You can tilt the phone to scroll the browser. Same thing goes for e-books. Small tilts make it scroll slowly, bigger angles of tilting make it scroll faster and you can also lock the scroll speed into place. In addition to the tablet-style carousel, you can have an Android-like app grid and if you go to email, you don't have to launch the email app to see messages, because you can see the first few emails on the bottom of the screen. With calendar, you can see your next appointments. With the camera, you can see your latest pictures. Third-party stuff apparently works as well. Music has a 3-panel design that means the left panel is navigation (playlists & artists), a central panel lets you see album art and pause or go forward or backward, and the right hand panel shows you the lyrics. The Dynamic Perspective tech gives gamers a view of different levels and perspectives. Mr. Bezos noted, "The key is knowing where the user's head is at all times." But not with headgear which would be really geeky in a bad way, but computer vision. A face-fronting camera won’t work so these cameras have a 120-degree FOV. But you also need stereo vision. So there are two cameras for that. But, because users hold their phones in a whole bunch of ways and end up obscuring the cameras, Amazon added two more. So four corner cameras, and no matter how you hold your phone, you can pick two cameras. There’s infrared light -- one for each camera, invisible to human eyes, but great for cameras. They're much more efficient because they use a global shutter instead of rolling shutter. But everybody's different Mr. Bezos noted. So how do you capture all of that variety? It's a difficult machine-learning problem but they’ve figured it out. And there’s an SDK is also available for the dynamic perspective. Small touches: like going into the calendar realizing you’ll be late to the next meeting so you can go to the right panel and there's a list of quick messages, like "go ahead and start without me." There's an option to keep the ringer silent for 3 hours and then it goes back on automatically. When you’re messaging, you can pull up pictures by swiping from the right. The Fire Phone is an AT&T exclusive. AT&T Mobility CEO, Ralph de la Vega, noted for the record "It's addictive and an absolute breakthrough. I’m going to buy a whole lot more things now!" Even with all the technology, the Amazon Fire phone is something the brand couldn’t really avoid for long, particularly given the growth in the mobile sector. Consumers usually spend more time on smartphones than tablets and pretty much have their phones always on and within easy reach, and Amazon knows a little something about technology and selling technology, à la their Kindle eReaders and their Kindle Fire tablets. They priced them to sell and then provided customers a platform for books and videos and content. As to additional content, how better to leverage Amazon’s newest service, Prime Music, streaming music, free to customers who are members of Amazon Prime. So it seems as if Amazon’s got your number, well, they do. Oh, and speaking of numbers, keep in mind Amazon already has close to 260 million customers already buying a lot of stuff a lot of the time, much of it online. Want to guess how many like the idea of smartphones and are already highly engaged with the Amazon brand, so the Amazon phone is sounding pretty good to them about now? It looks to cost $199 with a 2-year contract or $299 for the 64GB version. And it comes with a free year of Amazon Prime, and current Prime Members will get the 12 months for free too. Fire Phone is due to ship July 25th. And given all those possibilities, Amazon’s entry could actually end up being the industry’s very, very, first sell-phone. To Err Is Human. To Forgive Divine. To Blame It On Someone Else Is Just Business. When the waiting time for loading video got sluggish, Netflix used social media to advise consumers they should blame Verizon. “The Verizon network is crowded right now,” they tweeted, but informed customers that Netflix was in the process of adjusting for smoother playback. That’s the message that was sent to customers. Verizon pointed out that Netflix’s systems for streaming are complex and so you can’t just go ahead and blame Verizon without substantiation. Oh, and they also wanted Netflix to produce a list of the customers who were sent the notice. There are issues about who pays what for connecting directly to the Verizon network and bypassing the ‘go-between’ that carries content through the Internet, what makes it faster or slower, and other Internet/digital minutiae that’s generally left to lawyers and technology expert-witnesses to sort out. Anyway, that’s the legal perspective. Here’s the brand perspective: Ultimately it comes down to whom the consumer believes – or doesn’t believe. And believability is always ceded to the brand that consumers are most highly emotionally engaged with. Sure, there’s rational right and wrong, and nobody likes a slow download, but the more emotionally engaged a consumer is with a brand always translates to higher degrees of loyalty. We’re talking about real loyalty and the benefits that come with it and not just collecting points – the benefits of genuine loyalty. Real loyalty is accompanied by better behavior toward the more-emotionally-engaged-with-brand. More usage, increased recommendations, and other good things successful brands aspire to. Engagement and loyalty also translates to higher degrees of believability and the consumer’s willingness to give the brand with the highest engagement the benefit of the doubt in uncertain circumstances. Six times more, in fact. While engagement is category-specific, it is possible to compare Online Video Streaming and Broadband Providers via their individual category Ideals, configured to be 100%. When we do that, Netflix comes out significantly higher than Verizon – 89% vs. 77%. And, as engagement correlates with all those positive behaviors and attitudes and compassion, consumers should feel the same way in the real marketplace. And they did. Out of 1,000 U.S. consumers who have streaming video, when asked who was most likely responsible for slow program-streaming/downloading, their primary Video Provider or the Broadband Provider, 86% blamed the Broadband Provider. And of 400 consumers in the sample who cited Netflix as their primary provider, when asked whether the blame would fall at the feet of Netflix or Verizon, 365, or 91%, blamed Verizon. That’s the nice thing about engagement and loyalty metrics, they’re predictive consumer attitudes and behaviors in the real marketplace. 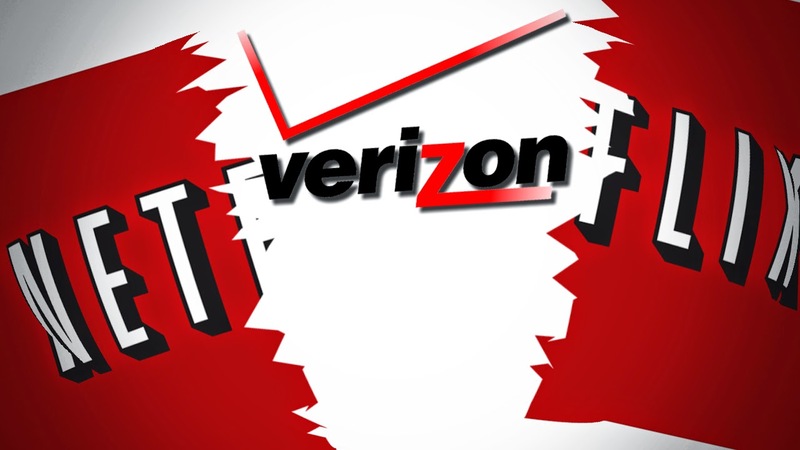 The letter to Netflix warned that Verizon could “pursue legal remedies,” and, again, that’s up to Verizon’s lawyers. But in this instance, given the brand’s current emotional engagement levels, they probably want to avoid a jury trial. You Can’t Get A Man With A Gun. Or A Burger, Apparently. Following in the footsteps of Chipotle’s announcement of their a gun-free policy a few of weeks ago, other national brands like Applebee’s, Jack in the Box, Starbucks, and Wendy’s, have added something new to their menu: a request that patrons stop bringing automatic weapons into their establishments. Now, biting the bullet, Chili’s and Sonic Drive-In have joined them, after finding themselves literally under the gun when members of the gun-rights group, Open Carry Texas, loaded for bear, walked into Texas-area outlets of Sonic and Chili's carrying assault rifles, their version of Pink Floyd’s “The Gunners Dream.” So Sonic and Chili's, following RZA’s suggestion that patrons “Put Your Guns Down,” both issued statements late last week requesting that customers keep guns out of their restaurants – even if they do have open carry permits. The rationale behind these new policies rests on the premise that – wait for it – weapons can create an uncomfortable atmosphere for other diners. Brinker International who owns Chili’s said they were “dedicated to providing a safe environment for our guests and team members.” Sonic asked customers to "refrain from bringing guns onto our patios or into our outdoor dining areas." The request extends to the inside of the restaurant too, even if it is a Saturday night special dinner out! Now we measure a lot of category values in our Customer Loyalty Engagement Index – attributes, benefits, and values for nearly 100 categories and 900+ brands – and normally in columns like this we’d provide a list of quick-serve and casual restaurants and how they ranked according to how well customers saw the brands meeting their expectations regarding a particular category value. But in this case, we’re stumped! 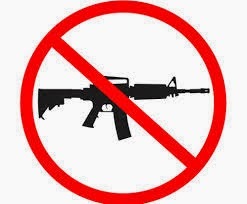 While we pride ourselves on a high caliber value inventory for our analyses, we overlooked the attribute “has a no-gun policy” in any of the restaurant – or retail categories, for that matter, that we track. Maybe it’s time we re-consider that. “Greatness,” indicating that the right to bear arms is one of the critical values that makes this country great. Now before you go ballistic, the “Dad” in the commercial was apparently asking about one of their sandwiches. Still. . .
On their Facebook page, Open Carry Texas said it would "cease taking long guns into corporate businesses unless invited," because as every diner knows, nothing adds to a restaurant’s ambiance like a loaded automatic weapon. A post on the National Rifle Association’s Legislative Action website says: Demonstrators bringing long guns into Chipotle and Chili’s is really, really bad for business. And it’s starting to look “weird,” and it’s degenerating into “downright foolishness.” You think! ?